Cordoba is placed within the 3 most visited places in Andalusia, Spain. Millions of visitors arrive every year to get to know it. Also, lots of families decide to choose this destination. 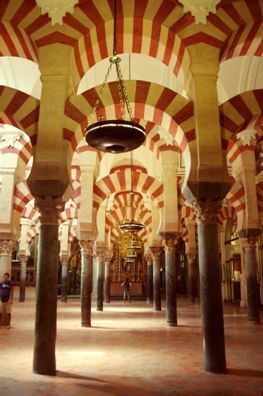 The tourist attractions in Cordoba point firstly to “la Mezquita” as one of the Europe’s best visit. In many occasions, children feel this visit as an entrance to another era and, somehow, to a fairy tale. Besides, for the sake of parents, the visit offers free entrance to kids as well as access with baby buggies. With regard to the weather, Cordoba is listed as one of the country’s warmest city, making the city a comfortable destination for families, not worrying about the rain. Besides, terraces in bars and restaurants will not only like to parents, but also to children who will enjoy the outdoors. A good visit to the city in family, must not forget to go for a stroll around narrow streets with white houses, inner patios and neat flowers. If you are interested in getting to know more about the city, a tour around Cordoba is a great idea, such as touristic buses, which keep kids sitting and entertained. Compartir el post "Cordoba: a perfect family getaway"